When we hear that something is from Siberia, Russia, we have a tendency to think of something very cold. But what Yulia Romanchenko of Yulabears creates will warm even the coldest hearts. Living in Novosibirsk, Russia, with her husband, Igor, Yulia takes her love of sewing and knitting and creates adorable bears and buds. "I've been doing needlework since my childhood; sewing clothes for dolls, knitting for myself and I began to sew for myself and embroider too." She even self-taught herself how to make felt. 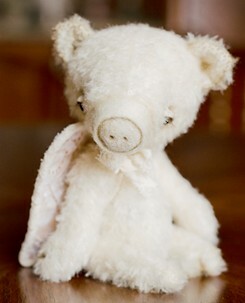 Yulia's first teddy was felted and small, just 10cm in size. That was in 2006. 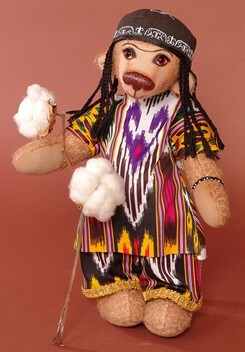 "I saw my first mohair teddy bear in an exhibition in Novosibirsk in that year. I left with a desire to create them for myself." 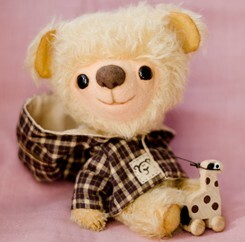 Her first teacher in teddy bear making was a Russian teddy bear artist named Gusel Kostyna. By 2007, Yulia took part in her first exhibition, "The Carnival of Dolls" in Barnaul, Russia. "My teddy bear named "Gyulchatay" won the prize for Most Special Teddy Bear." Gleaning information from the Internet, she also learned from other well known Russian teddy bear artists and took part in other Russian exhibitions. Then she decided to take her bears international by participating in "The Hugglets Teddies Festival" in London. 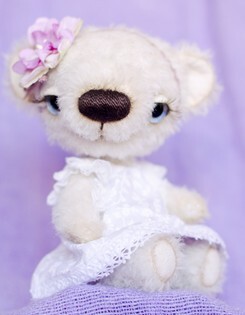 Yulia sells her bears via the Internet and direct to collectors at exhibitions. She also maintains a blog and live journal page along with an Etsy-shop. "I've started to participate in International on-line shows this year, as well." Although her main employment is in accounting, she always searched for a job with "soul," and bear-making turned out to be the perfect job for her. 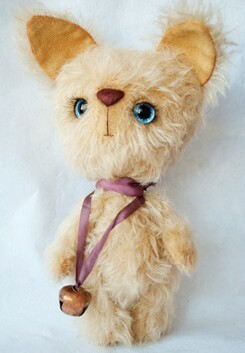 She usually designs one or two patterns a year; modifying her patterns for creating new bears and buds. She makes 10-15 bears or creations a year because she also makes "primative toys" with coffee, vanilla and cinnamon aromas. All in all, she makes all the bears, buds and toys herself. 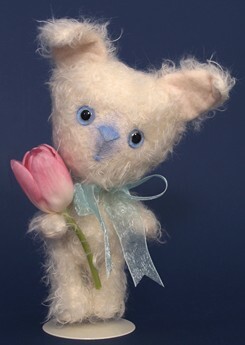 "I sew my toys from natural materials like German mohair, cotton fabrics and sheep's wool. I know that there are a lot of artists using sewing machines, but I don't." 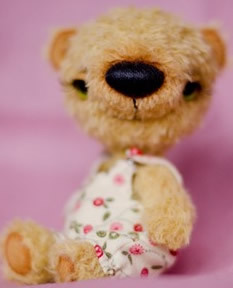 Yulia takes the time to hand paint the normally transparent glass eyes, to bring her teddies to life. "I like selling my bears directly to the buyer so that I can see their emotions when they adopt one of my bears. When I see that my work makes people smile, makes them happy like children, it is very important to me." This is normally rare for Yulia because she seldom gets to meet her collectors because most of her selling is done via the Internet. So when she does get to witness it, she is overjoyed. Yulia knows the importance of any type of teddy bear collecting and truer words were never said: "It doesn't matter if you collect artist teddy bears or manufactured teddies, in my opinion. Teddy bears bring us back to childhood and that makes us kinder and I think that is very important in our fast growing, fast paced time."